Results: 35 lots grossed $75,050 to average $2,144. Top lot was lot 1 selling for $3,500. Results: 170 lots grossed $549,950 to average $3,235. Top lot was lots 1 and 54 selling for $8,500. Results: 50 lots grossed $519,500 to average $10,390. Top lot was lot 3 selling half-interest for $60,000. Results: 33 lots grossed $108,800 to average $3,296. Top lot was lot 15 selling for $7,500. Results: 55 lots grossed $232,500 to average $4,227. Top lot was lot 1 selling for $13,000. Results: 71 lots grossed $213,650 to average $3,009. Top lot was lot 1 selling for $12,000. Results: 105 lots grossed $1,066,400 to average $10,156. Top lot was lot 23 selling for $68,000. Results: 71 lots grossed $179,950 to average $2,534. Top lot was lot 2 selling for $5,200. Results: 50 lots grossed $261,750 to average $5,235. Top lot was lot 6 selling for $36,000. Results: 96 lots grossed $254,450 to average $2,650. Top lot was lots 28, 30, 56, and 57 selling for $5,000 each. Results: 45 lots grossed $158,500 to average $3,522. Top lot was lot 1 selling for $11,000. Results: 50 lots grossed $213,000 to average $4,260. Top lot was lot 1 selling for $30,000. Results: 15 bulls grossed $63,800 to average $4,253. Top lot was lot 1 selling half-interest for $6,500. Results: 30 lots grossed $389,750 to average $12,991. Top lot was lot 14 selling for $27,000. Results: 64 lots grossed $939,000 to average $14,671. Top lot was lot 1 selling half-interest for $90,000. Results: 43 lots grossed $180,150 to average $4,189. Top lot was lot 47 selling for $20,000. 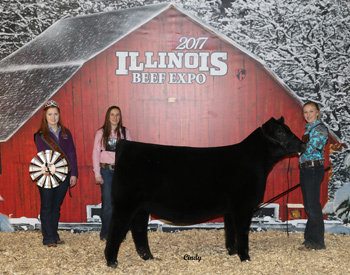 Results: 6 lots grossed $24,100 to average $4,016. Top lot was lot 4 selling for $6,750. Results: 40 lots grossed $340,600 to average $8,515. Top lot was lot 6 selling for $65,000. Results: 45 lots grossed $377,550 to average $8,390. Top lot was lot 3 selling for $22,000. Results: 306 lots grossed $1,865,185 to average $6,095. Top lot was lot 1 selling for $60,000. Results: 56 lots grossed $590,150 to average $10,538. Top lot was lot 2 selling for $70,000. Results: 211 lots grossed $719,050 to average $3,407. Top lot was lot 36 selling for $70,000. Results: 35 lots grossed $115,400 to average $3,297. Top lot was lot 1 selling for $5,900. Results: 50 lots grossed $260,000 to average $5,200. Top lot was lot 49 selling for $25,000. Results: 65 lots grossed $256,800 to average $3,950. Top lot was lot 10 selling for $24,000. Results: 141 lots grossed $529,450 to average $3,754. Top lot was lot 144 selling for $12,750. Results: 110 lots grossed $867,800 to average $7,889. Top lot was lot 34 selling for $83,000. Results: 66 lots grossed $172,400 to average $2,612. Top lot was lot 83 selling for $5,750. Results: 58 lots grossed $235,500 to average $4,060. Top lot was lot 1 selling for $15,500. 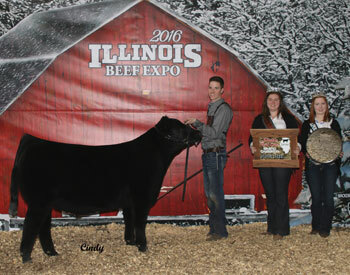 Results: 65 bulls grossed $263,650 to average $4,056. Top lot was lot 5 selling for $13,500. 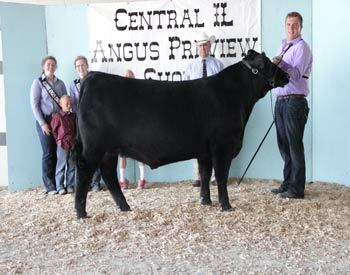 Results: 34 Angus bulls grossed $118,750 to average $3,492. Top lot was lot 22 selling for $5,500. Results: 27 bulls grossed $95,800 to average $3,548. Top lot was lot 1 selling for $20,000 for half interest. Results: 23 bulls grossed $91,550 to average $3,980. 14 females grossed $61,050 to average $4,360. Top lot was lot 19 selling for $8,250. 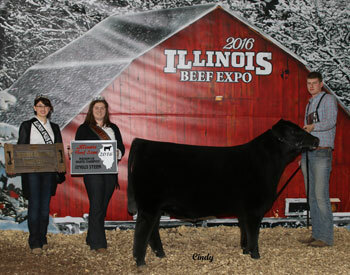 Results: 43 bulls grossed $155,800 to average $3,623. 17 females grossed $45,600 to average $2,682. Top lot was lot 10 selling for $7,750. Results: 13 bulls grossed $51,350 to average $3,950. Top lot was lot 4 selling for $7,250. Results: 30 females grossed $512,250 to average $17,075. Top lot was lot 1 selling for $75,000. 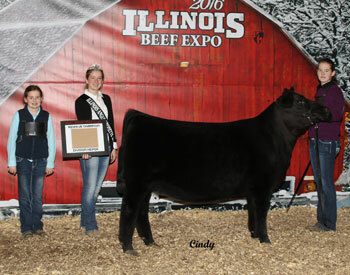 Results: 63 females grossed $948,750 to average $15,059. Top lot was lot 12 selling for $85,000. Results: 5 bulls grossed $15,050 to average $3,010. 36 females grossed $187,750 to average $5,215. 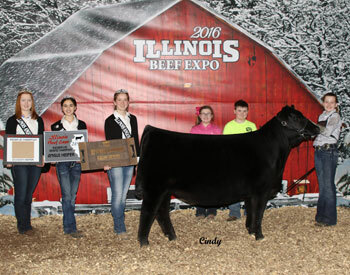 10 steers grossed $15,450 to average $1,545. 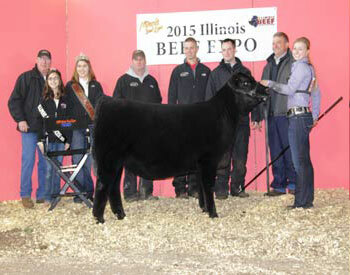 Top lot was lot 62 selling for $23,000. 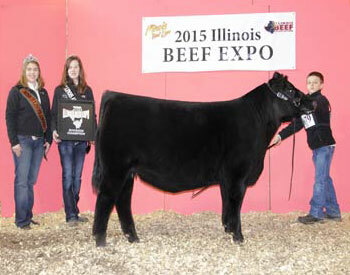 Results: 26 females grossed $59,450 to average $2,286. 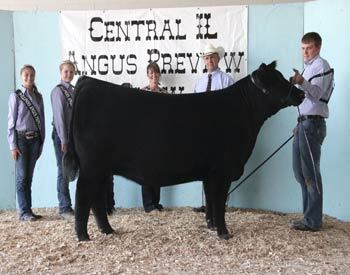 6 steers grossed $7,250 to average $1,208. Top lot was lot 13 selling for $5,200. 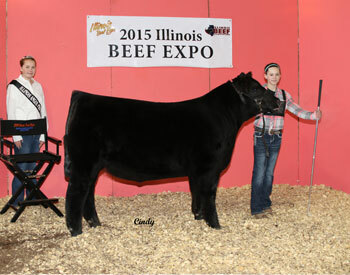 Results: 78 females grossed $324,600 to average $4,161. Top lot was lot 10 selling for $11,000. Results: 7 females grossed $27,300 to average $3,900. Top lot was lot 5 selling for $6,250. Results: 11 females grossed $78,947 to average $7,177. 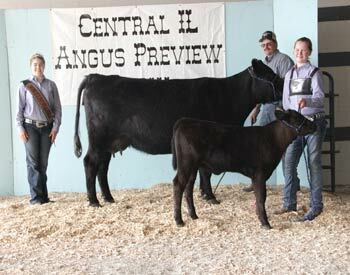 2 steers grossed $3,400 to average $1,700. Top lot was lot 3 selling for $16,500. Results: 47 females grossed $127,910 to average $2,721. Top lot was lot 1 selling for $21,000. Results: 55 females grossed $403,050 to average $7,328. Top lot was lot 1 selling for $60,000. Results: 32 females grossed $354,400 to average $11,075. Top lot was lot 1A selling for $82,500. Results: 69 bulls grossed $315,500 to average $4,572. 103 females grossed $328,150 to average $3,185. Top lot was lot 23 selling for $8,750. 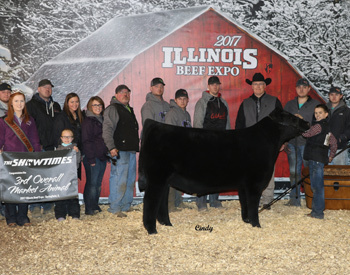 Results: 12 bulls grossed $54,350 to average $4,529. 42 females grossed $690,200 to average $16,433. Top lots were lots 1 and 10 selling for $100,000 each. 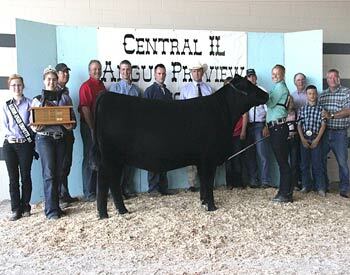 Results: 32 bulls grossed $242,000 to average $7,562. 17 females grossed $169,800 to average $9,988. Top lot was lot 2 selling for $87,500. 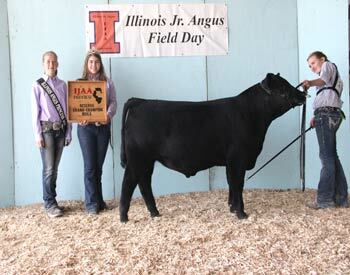 Results: 49 bulls grossed $206,450 to average $4,213. Top lot was lot 5 selling for $12,000. Results: 5 lots grossed $48,250 to average $9,650. Top lot sold for $16,500. Results: 91 bulls grossed $452,350 to average $4,970. Top lot was lot 1 selling for $70,000. 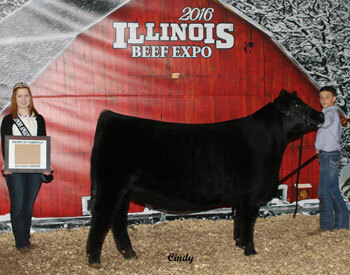 Results: 19 bulls grossed $52,915 to average $2,785. 17 females grossed $74,150 to average $4,361. Top lot was lot 30 selling for $7,400. Results: 68 bulls grossed $626,100 to average $9,207. 43 females grossed $250,450 to average $5,824. Top lot was lot 22 selling for $136,000. 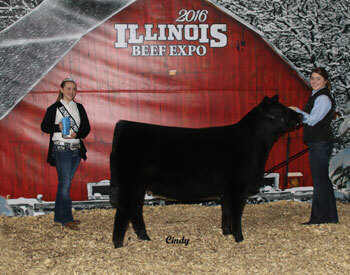 Results: 36 bulls grossed $131,600 to average $3,655. 36 females grossed $79,400 to average $2,205. Top lot was lot 103 selling for $7,500. 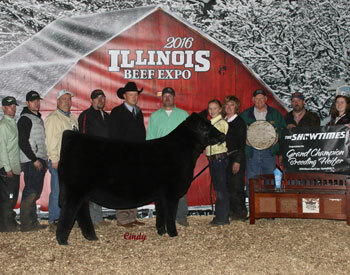 Results: 35 bulls grossed $146,450 to average $4,184. 33 females grossed $187,600 to average $5,684. Top lot was lot 1 selling for $12,500. 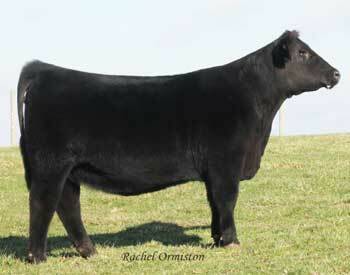 Results: 53 bulls grossed $210,500 to average $3,971. 42 females grossed $95,600 to average $2,276. Top lot was lot 7 selling for $15,000. 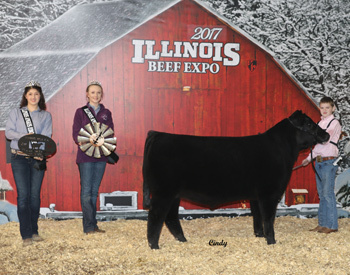 Results: 75 bulls grossed $363,000 to average $4,840. Top lot was lot 44 selling for $13,500. 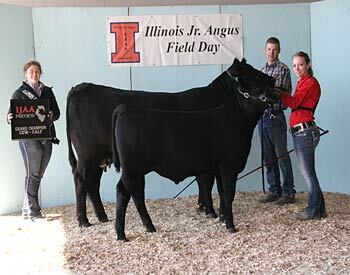 Results: 21 bulls grossed $87,600 to average $4,171. 38 females grossed $161,350 to average $4,246. Top lot was lot 36 selling for $16,500. 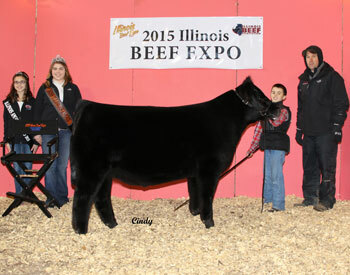 31 heifer calves grossed $123,300 to average $3,977. 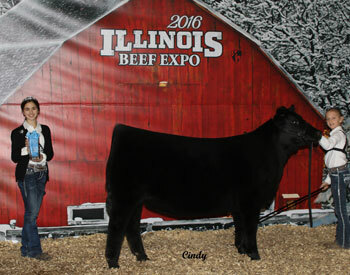 Top selling heifer calf was lot 36 selling for $16,500. 7 production females grossed $38,050 to average $5,435. 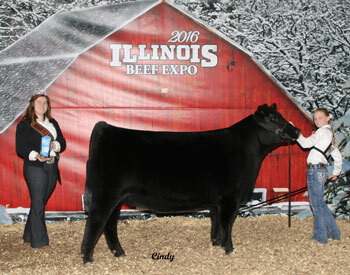 Top selling production female was lot 42 selling for $12,000. 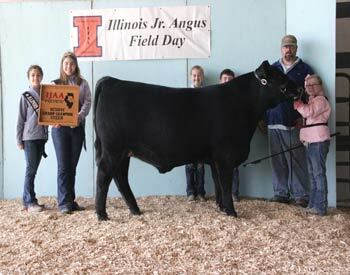 Results: 21 Angus bulls grossed $94,850 to average $4,516. Top lot was lot 41 selling for $7,250. 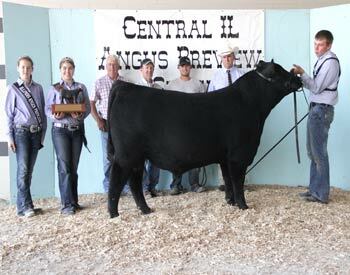 Results: 24 bulls grossed $97,550 to average $4,064. 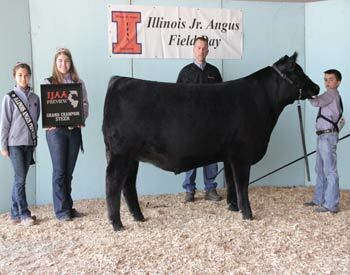 12 bred females grossed $46,900 to average $3,908. Top lot was lot 15 selling for $7,600. Results: 70 lots grossed $288,100 to average $4,115. Top lot was lot 26 selling for $15,000 for 2/3 interest. Results: 15 bulls grossed $66,350 to average $4,423. Top lot was lot 3 selling for $8,500. Results: 37 lots grossed $665,600 to average $17,989. Top lot was lot 15A selling for $54,000. Results: 63 females grossed $927,000 to average $14,714. Top lots were lots 9 and 11 selling for $80,000 each. Results: 37 lots grossed $104,800 to average $2,832. Top lot was lot 28 selling for $4,500. Results: 11 lots grossed $44,505 to average $4,045. Top lot was lot 8 selling for $10,500. Results: 10 females grossed $57,000 to average $5,700. Top lot was lot 529 selling for $13,500. Results: 14 lots grossed $74,000 to average $5,285. Top lot was lot 1 selling for $13,000. Results: 47 lots grossed $302,850 to average $6,443. Top lot was lot 2 selling for $19,000. Results: 85 lots grossed $697,700 to average $8,208. Top lots were lots 3 and 9 selling for $50,000 each. Results: 16 lots grossed $187,550 to average $11,721. Top lot was lot 1518 selling for $41,000. Results: 10 females grossed $105,000 to average $10,500. Top lot was lot 2 selling for $23,000. Results: 59 bulls grossed $365,500 to average $6,194. 104 females grossed $384,660 to average $3,968. Top lot was lot 5 selling for $15,000. Results: 30 bulls grossed $249,000 to average $8,300. 15 females grossed $109,650 to average $7,310. Top lot was lot 1 selling for $25,500. 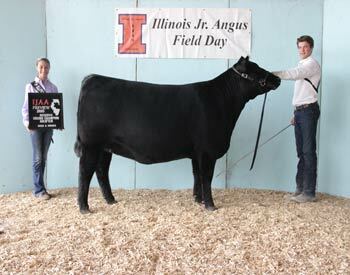 Results: 48 bulls grossed $212,000 to average $4,416. Top lot was lot 1 selling for $19,000. Results: 8 bulls grossed $40,000 to average $5,000. 36 females grossed $605,750 to average $16,826. Top lot was lot 11 selling for $65,000. 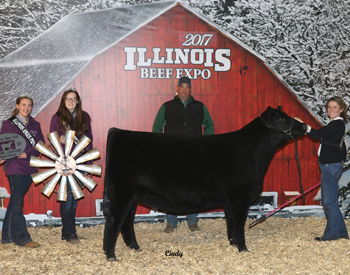 Results: 19 bulls grossed $74,750 to average $3,934. 16 females grossed $77,175 to average $4,823. Top selling lot was lot 35 selling for $12,500. Results: 66 bulls grossed $646,750 to average $9,799. 46 females grossed $382,500 to average $8,315. Top selling lot was lot 113 selling for $70,000. 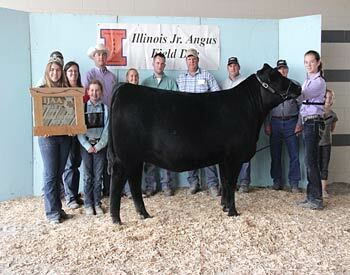 Results: 40 bulls grossed $164,500 to average $4,112. 39 females grossed $222,500 to average $5,706. Top selling lot as lot 45 selling for $12,000. 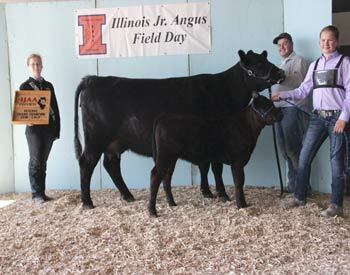 Results: 42 bulls grossed $192,000 to average $4,571. 53 females grossed $177,400 to average $3,347. Top selling lot was lot 3 selling for $7,100. 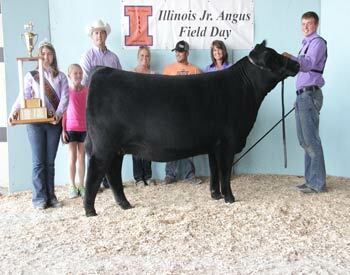 78 bulls grossed $521,750 to average $6,689. Top selling lot was lot 30 selling for $80,000. 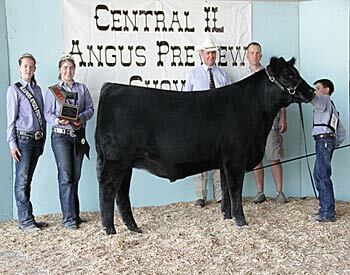 24 Angus bulls grossed $107,300 to average $4,470. Top selling lot was lot 10 selling for $10,000. 97 bulls grossed $481,500 to average $4,963. Top selling lots were lots 1 and 44 selling for $20,000 each. 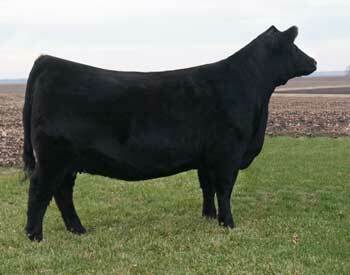 42 bulls grossed $163,725 to average $3,898. 28 females grossed $107,730 to average $3,847. Top lot was lot 12 selling for $7,500. 10 lots grossed $70,350 to average $7,035. Top lot was lot 4 selling for $17,000. 35 lots grossed $533,500 to average $15,242. 8 bulls averaged $7,312. 25 females averaged $17,800. 2 flushes averaged $15,000. Top lot was lot 11 selling for $71,000. 57 lots grossed $159,750 to average $2,802. Top lot was lot 48 selling for $6,200. 35 lots grossed $139,600 to average $3,988. 21 bulls averaged $2,938. 14 females averaged $5,564. Top lot was lot 25 selling for $9,100. 41 lots grossed $246,250 to average $6,006. 24 bulls averaged $7,783. 17 females averaged $3,497. Top lot was lot 10 selling for $53,000. 84 lots grossed $306,450 to average $3,648. 48 bulls averaged $4,257. 36 females averaged $2,836. Top lot was lot 1 selling for $11,500. 30 lots grossed $109,400 to average $3,646. Top lot was lot 1 selling for $7,500. 96 lots grossed $806,400 to average $8,400. 64 bulls averaged $9,066. 26 females averaged $7,836. Top lot was lot 21 selling for $145,000. 45 lots grossed $159,800 to average $3,551. 40 bulls averaged $3,610. 5 females averaged $3,080. Top lot was lot X selling for $5,200. 84 lots grossed $238,900 to average $2,844. 37 bulls averaged $3,281. 47 females averaged $2,500. Top lot was lot 20 selling for $7,500. 80 lots grossed $370,250 to average $4,628. 39 bulls averaged $3,953. 41 females averaged $5,269. Top lot was lot 51 selling for $22,500. 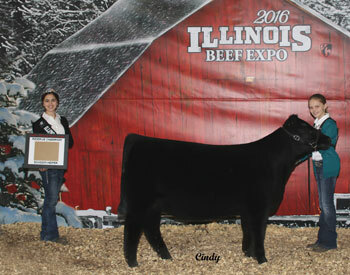 87 registered lots grossed $284,350 to average $3,268. 52 bulls averaged $3,943. 36 females average $2,477. 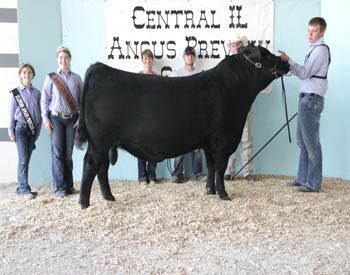 Top lot was lot 38, consigned by Eathington Angus, selling for $8,000. 27 lots grossed $109,200 for average $4,044. 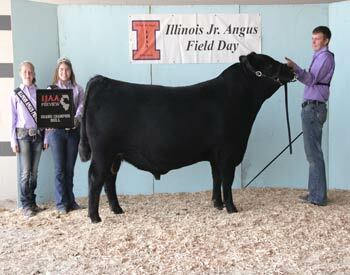 Top lot was lot 14, consigned by Hobbs Angus, selling for $9,000. 49 lots grossed $165,350 to average $3,374. 35 bulls averaged $3,625. 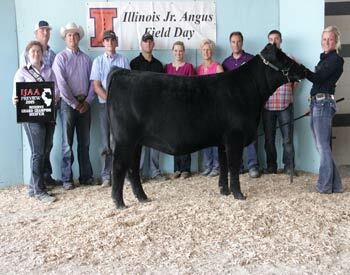 14 females averaged $2,746. Top lot was lot 1 selling for $7,250.